Not long ago I was getting e-mails from people about a parish where a speaker identified as a "Liberation theologian" was scheduled to speak. That puzzled me a little. Don’t get me wrong, in a sense Joseph Ratzinger was a bit of a "Liberation theologian", in that he really delved into the theology and found its flaws. But he also found a few strong points and, mutatis mutandis, used a couple of those points for reflections on a liturgical theology. Consider that if Christ is our Liberator (from sin, damnation and hell), what happens in the Church’s worship is also work of the Liberator. But I digress. That is a far cry from the attempted – failed – fusion of Christian principles with Marxism. But ideas come and go, and come back again. We have lots of Pelagians and Gnostics around today, after all. But Liberation theology might make a come back, given an up tick in rhetoric from, for example, Black Liberation theology. 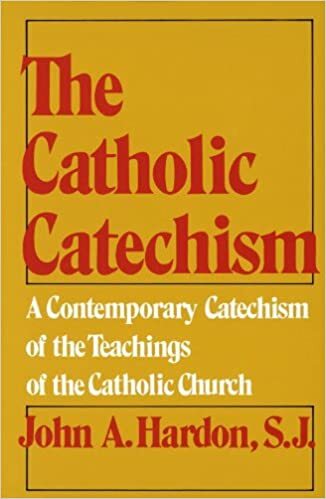 It is good that we all know something about Liberation theology, but we must study it with the help of the Church’s indications set down especially by the CDF when Card. Ratzinger was Prefect. But be reminded that Liberation theology is not "okay". It is deeply flawed. It is not cool to embrace it or even give it as much heed as you would some dopey kid wearing a Che Guevara tee-shirt. Vatican City, Dec 7, 2009 / 11:42 am (CNA).- In a meeting with a group of Brazilian bishops on Saturday, the Holy Father warned of the dangers of Marxist liberation theology and noted its grave consequences for ecclesial communities. During the ad limina visit, the Pope recalled that “last August marked 25 years since the Instruction “Libertatis nuntius” [READ that!] of the Congregation for the Doctrine of the Faith, on certain aspects of liberation theology. The document "highlights the danger involved in the uncritical absorption, by certain theologians, of theses and methodologies that come from Marxism." For this reason, he exhorted all those who in some way feel attracted or affected by “certain deceitful principles of liberation theology” to re-visit the instruction and be open to the light that it can shed on the subject. The Instruction “Libertatis nuntius” was published on August 6, 1984, with the approval of Pope John Paul II, by the Congregation for the Doctrine of the Faith. Its purpose was to focus the attention of pastors, theologians and all the faithful on the deviations of certain forms of liberation theology that are dangerous for the faith and for the Christian life and that are based on Marxist thought. This entry was posted in The Drill and tagged Liberation theology, Libertatis nuntius. Bookmark the permalink. 20 Responses to Nooo… Liberation Theology isn’t “okay” now. If it means embracing dialectic materialism, atheism, armed class conflict, and an ultimately Communist vision, of course that is not acceptable. But a distinction can be made between “Marxism” which is an all-encompassing philosophy of reality, and “Marxianism” which is simply one school of political and economic thought, an interesting angle on certain problems divorced from any connection to Marxist ideological solutions. I mean, there is no doubt structural exploitation in political and economic systems, a division between oppressed and oppressors, and clever means the haves use to keep the have-nots complacent. That being said, while I can see it being helpful in the question of Social Teachings and social justice…I dont see how exactly it could be extended into a useful Theological School on the level of Thomism, because it seems more of a sociology than a theology. In my experience the problem with “liberation theology, “feminist theology” etc. has been that their supporters put Marxism or feminist theory in first place, ahead of Christ, the Gospel and the teachings of the Church. It becomes their true religion, the one that captures their first allegiance. It is the defining lens through which they interpret and critique the Gospel. That’s how they get to ordaining women as priestesses, etc. and feeling very self-righteous about it. Instead, we all need to critique our ideologies in the light of the Gospel and with the guidance of Holy Mother Church. Christ is the source of salvation, not Marx. While no one would deny exploitation in certain circumstances, as you say, there are some serious flaws with “Marxianism”. The most fundamental issue is the moral value of private property, one consistently upheld by the Church. In what way could one promote “Marxianism” and private property at the same time? The only liberation theology worth teaching is liberation from sin accomplished by the work of Our Lord and Savior Jesus Christ. It is interesting to note that Pope Benedict appears to have a special love for the Feast of the Transfiguration of the Lord. Both “Libertatis nuntius”(1984) and “Dominus Jesus” (2000) were released on that date. Both were truly significant. Just as today is the anniversary of the sneak attack bombing of Pearl Harbor in 1941, August 6, the Feast of the Transfiguration of the Lord, was the date on which Hiroshima, Japan was leveled by the atomic blast. Both of these documents have managed, with the passage of time, to make all the right people on the “left” uncontrollably upset, with never-ending shock waves of Truth. It is an interesting point in this discussion today of liberation theology “so-called” that on December 7, 1965 Pope Paul VI’s Motu proprio “Integrae servandae” reorganized the Congregation for the Doctrine of the Faith. While prefect of the CDF then-Cardinal Ratzinger sat in an exclusive interview with Vitterio Messori and only later would the world remember this as the book published in 1985 by Ignatius Press: The Ratzinger Report. On page 187 Messori wrote: “For Ratzinger, therefore, liberation theology too is part of that “export to the Third World of myths and utopias which have been worked out in the developed West. It is as it were an attempt to test, in a concrete scenario, ideologies that have been invented in the laboratory by European theoreticians. In a certain respect, therefore, it is a kind of cultural imperialism, even if it is portrayed as the spontaneous creation of the disenfranchised masses.” The Pope in 2008 released the book, Jesus of Nazareth. On page 33 he wrote about the “aid” the West has “given” to developing countries. “The idea was that we could turn stones into bread; instead our ‘aid’ has only given them stones in place of bread. The issue is the primacy of God.” In the end, when the liberation theology has wrecked so many lives, they have been given stones in place of Jesus, the Bread of Life.” Truly the Pope has an amazing grip on these perennial problems. From what I remember of my economics class, there doesn’t seem to be anything per se anti-private property about Marxian economics – like any other economic school, it merely seeks to create a model for certain economic behaviors. It doesn’t say necessarily if it is good or bad. Of course, there are serious methdological problems with the economics, but it does not per se render judgment on the fairness of it all. Of course, this article is not about Marxian economics (which many theorists have offered amendments to, and diverges somewhat from what Marx actually said), but about Marxism infecting theological thought, which of course must be suppressed. Remember that Liberation Theology takes inspiration from the Gospel to change institutions that severely oppress the liberty of people. Classic examples, of course, were the dictatorships of Latin America and of Eastern Europe. The people of these nations are free today in large part with the help of the Church, boosted by Liberation Theologies. Work against racism, sexism, homophobia, etc, is rather “bourgeois,” to use a Marxist term. Racial minorities, women, and gay people find elements of oppression in social spheres, and sometimes in legal distinctions. However, Liberation Theologies don’t really resound if you are fighting for affirmative action, or for equal tax treatment. They resound when the oppression is so great that freedom and even human life itself are at stake. In the developed world, however, the only use I see for Liberation Theologies would be the fight for the unborn. Recall (as mentioned in Libertatis Nuntius) that Paul VI at the Medellin conference noted that Liberation Theologies apply primarily to two groups. Is the Pro-Life movement not the best example of Liberation Theology in America and Europe? I disagree with your claim that the Pro-Life movement is applied liberation theology in America and Europe. Having lived through this whole period, I have never seen or heard of one single “liberation theologian” being influential in inspiring any Pro-Life group or efforts. Remember that Liberation Theology takes inspiration from the Gospel to change institutions that severely oppress the liberty of people. That’s pretty bland. As stated, “liberation theology” would then have no Marxist inspiration at all, but then it wouldn’t have that nice, distinct earmark of being “liberation” theology. In fact, liberation theology takes inspiration from Marxism, focusing on “oppressors/oppressed”, “masters/slaves”, “capital/labor”, etc., and then “blesses” that analysis by irrelevant quotes from the Gospels, which are merely tactical so as to gull people into thinking that the speaker is not being political, but religious. It is purely tactical. Perhaps some liberation theoretician can now go back, and coopt the Pro-Life movement as an example of “good liberation theology”, but that would be a) bad history, and b) a typical Marxist tactic. Much more important to the rise and sustenance of the Pro-Life movement, in no particular order, have been a) natural law, b) the Incarnation, c) the ordinary Magisterium of the Church, d) the Bible, e) experience. Serendipitously, last night, Dec. 7, Marcus Grodi interviewed Raymond d’Souza on the “Journey Home” program. D’Souza is a native of Brazil, and had some things to say about this very subject of liberation theology and its role in eviscerating Brazilian Catholicism of its doctrinal and moral content. That situation, according to him, continues today. For those interested, a podcast is/will be available. MPM, you are too hard on Liberation Theology. Marxism is not a necessary component of Liberation Theology, in fact the opposite is true. Certain elements of Marxism (as explained by Libertatis Nuntius) prevent it from being authentic. I think you will find that your list of sustenance for the Pro-Life movement are almost verbatum what John Paul II lists as the sustenance for authentic Liberation Theology. Who is the author of all “rebellion, division, offenses, anarchy, and (sadistic) suffering?” I think we all know this answer. It is impossible to be “too hard” on any brand of “theology”. They all must be harrowed, and thrashed, especially, but not exclusively, the “new” ones. That’s my principle. If one is unwilling to harrow them, he shouldn’t study them. I haven’t read JPII’s analysis, so I’ll take your word for it. Personally, and meaning no disrespect to Papa Wojtyla at all, I find St. Augustine’s concept of “Christ as Liberator” entirely compelling and sufficient for me. To his African congregations, apparently, “liberation” was what medical doctors would do for you, they would “deliver you from (physical) evil”. Christ, while doing that in his life on earth sometimes (i.e., miracles), ALWAYS delivers us from evil in the total sense: as “Yeshua” (Salvator, salus) he is both the physician and the medicine for our human race and our individual persons. Now, THAT sounds to me like a “theology” I need! 1. Generally, it comes from South Americans who were educated in Germany, e.g., Gutierrez and Boff. 2. It is much beholden to Hegel. Thus, LT often attributes any political movement (esp. those claiming to represent the poor) to the Holy Spirit. Obfuscating the distinction between nature and grace is usually never far from errors concerning dogma. 3. LT often uses certain schools of the Historical-Critical method to scrape away from the Gospels everything except social consciousness and class conflict. Thus: The Beatitudes are reduced to about two and half, Jesus’ Messianic status is considered a later development, and the priesthood tends to dissolve into little else than a revolutionary leader. This provided a foundation for the priestless Base Communities. They were considered to be in line with the Early Church. Before I entered the seminary, I earned a degree in the History of Economic Thought. I do not offer that as a dismissal of other opinion so much as a place to begin when discussing Marx. Inevitably, Marx’s thought leads to a destruction of private property. This is the case because a fundamental precept of Marxist thought is the reorganization of property and the putting of control of the means of production (land, labor, capital, entrepreneurship) into the hands of the proletariat. Color that idea in any way you want. Paint it with propaganda how you see fit. In the end, even a cursory reading of the Manifesto or Das Kapital will show that in order to get to the redistribution of the means of production, private property needs to be essentially violated. This is why any theological school tied to this school of thought cannot be morally sound. Don’t miss the point here for all the wishful flowery nonsense that can be erected around liberation theology. Drop the silly assumptions and READ the arguments people use for liberation theology with honesty and logic. a) the figures and ideas of scripture and theology are symbolic of something supposedly more real, defined by the liberation theologian as class struggle. b) Christ is supposed to be some kind of a principle, soulguide, avatar or ideological companion for the sake of this struggle. c) heaven and blessedness are symbolic of underclass class victory, which is the thing that really matters for a liberation theologian, although he won’t say so. This thing is used to drive social change and class warfare. Liberation theologians will parse scripture in order to distort it to take these meanings, and they will not tolerate traditional meanings unless they serve some kind of end to liberation theology. You read me wrong, I do not plead for Marxism or Marxianism (related, but not the same). I repudiate Marxism because it is against the Church, and I repudiate Marxianism because it is against basic common sense. I did not assert that you were pleading for Marxism or Marxianism (related, but wrong for the same reasons). I simply asserted that both are wrong because of their moral opposition to private property. Marxist philosophy is based on a dialectical understanding of history–that it is the struggle of the lower classes against the upper. The basis for this conflict is private property. In capitalist society the minority, who are owners of capital, oppresses the majority, who are labor. There are several problems with the above, most driven by the fact that Marxists draw too much of a distinction between capital and labor. 1. Marxism has a false understanding of capital, considering it a zero sum game. If one person has it, that means someone else does not. That was true of primarily agrarian society (e.g., Feudalism). In industrial and post industrial society (or for that matter, wherever banks have extended credit), however, rich capitalists exist because others have bought their products. The more who can buy them, the richer the company. Thus Henry Ford’s famous line that he wanted to pay his workers enough so they could buy his cars. Oppression, therefore, makes no sense in capitalism. 2. Marx wrote before the advent of industrial labor unions. 3. The Marxist concept of labor seems limited to unskilled labor. Skilled labor is in demand, and so it is a kind of capital. And so we see computer programmers moving from one company to another. 4. Marxism doesn’t seem to anticipate the existence of a middle class.